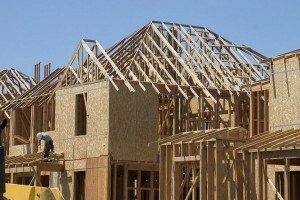 Are you starting a new construction project and looking for financing? Regardless of whether your project is residential, commercial or public, we are here for you. Our team of experienced professionals will secure the finding that you need to get your project on the road. We have already helped hundreds of clients secure ground-up constructions and rehab loans in cities like Miami, Boston, Brooklyn, Manhattan, Houston, Dallas, and Denver. We do construction loans, bridge loans, and other similar projects in all 50 states nationwide. You can call the toll-free national national number, fill out a quick request online, email us a package for a quote, or visit one of our 13 nationwide offices in Boston, Phoenix, Los Angeles, San Franciso, Denver, Miami, Tampa, Orlando, Chicago, Brooklyn & Manhattan, Austin, Dallas, and Houston. The key in our line of work is not only to secure financing for your project, but finding the right financing conditions for you. If you are planning to develop a ground up residential subdivision, or build an apartment/multi-family/mixed use/commercial/hotel building, we at Edward Voccola & Co. LLC. are here for you to offer the best ground up construction loans available with exceptional interest rates, commercial construction lines, and high loan-to-cost (LTC) lending which include all project costs such as hard, soft, FF&E and the lowest permanent rates available. Banks can often be difficult in granting funds for such endeavors, since you already have a mortgage and some other debt. They see your project as another liability. A risk even. We see it as an opportunity, and have a vast network of lenders who would wholeheartedly agree. Unlike banks and traditional lenders who play a very cautious game, we fully understand that your residential, commercial, or hotel construction loan will raise the value of your property and make the investment worthwhile. This applies especially to projects that result in additional rental units, which start producing a ROI practically from day one. Whatever your needs are, we will find a loan to help you achieve your goal and grow. We can assist in financing a building rehabilitation or similar project. At Edward Voccola & Co. LLC, our central goal is to make the process of obtaining a construction or rehab loan as simple and as stress-free as possible. When you are assisted by our team of dedicated professionals, you will be enjoying flexible appointment times, ongoing availability (even after hours if needed) and a full, unrelenting commitment to the pursuit of your satisfaction. The right construction loan can make financing your project easy and affordable, turning your investment goals into vivid reality. We work with lenders all across the country, linking them to our clients. With us, you will find opportunities that you will not find anywhere else. To make a long story short, if you are looking for a loan to finance your construction or rehab project, the best course of action is to call Edward Voccola & Co. LLC. Boston, MA. We are here for you.